CEG started as a family-run business in 1971 by Giuliano Gobbi. This electromechanical firm quickly grew over the years to reach its actual industrial dimension from the dedicated efforts of their enthusiastic personnel and continuous investments in logistics and technology. CEG now produces up to 200,000 motors per year. Electric Motors produced by CEG are Asynchronous, Single Phase and Three Phase Magnetic Induction. 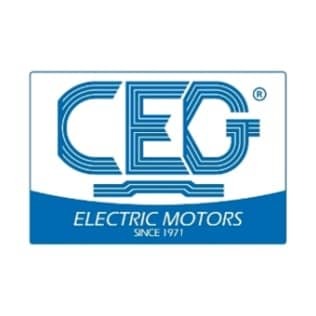 CEG also offer a full line of Standard Metric Motors, Two-Speed Metric Motors, Saw Arbor Motors, Metric Brake Motors, Flanges and Accessories and Nema 56C Motors.